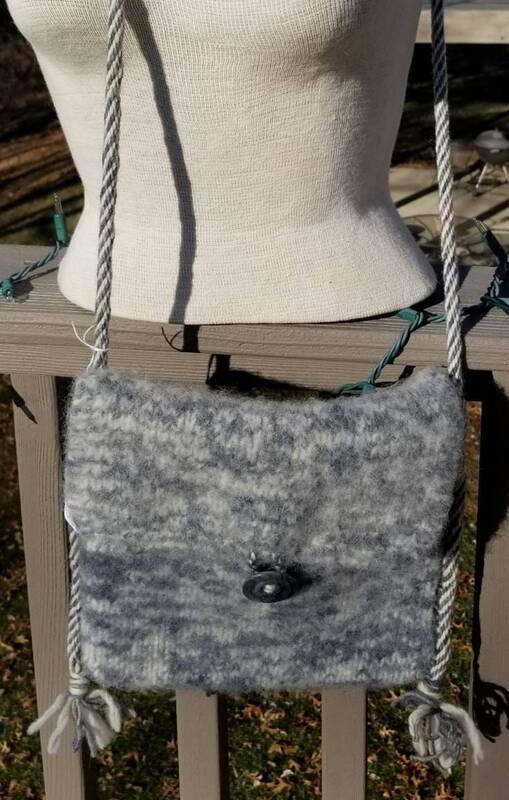 This knitted felted wool purse is made out of hand dyed storm blue variegated and natural churro wool yarn. 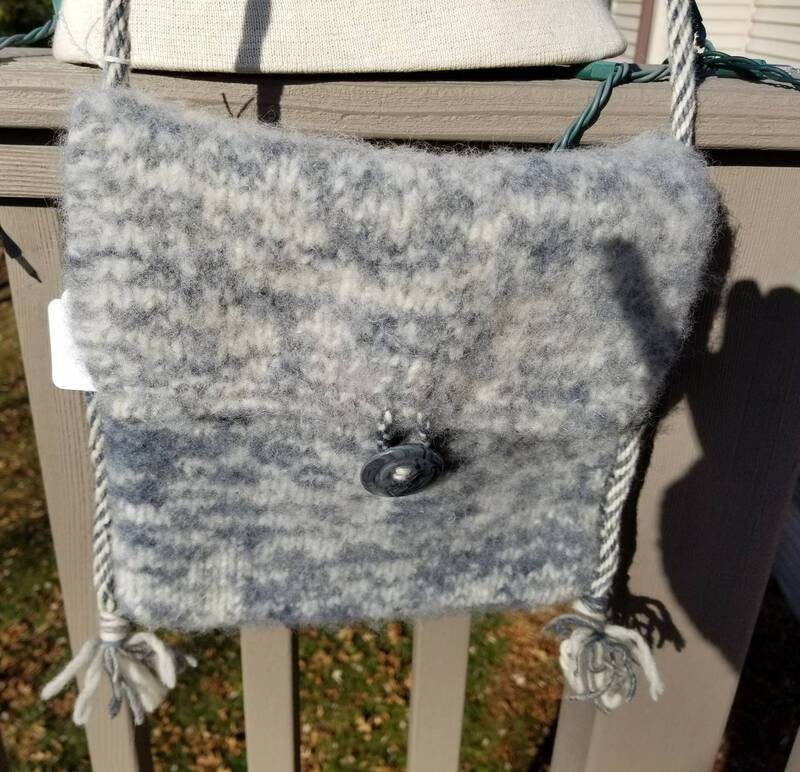 The purse is 10.5 inches long (without strap) by 10.25 inches wide. The strap is made of the same yarn that has been Japanese woven. The strap is long enough to go across the body. The closer is a vintage gray mother of pearl button.